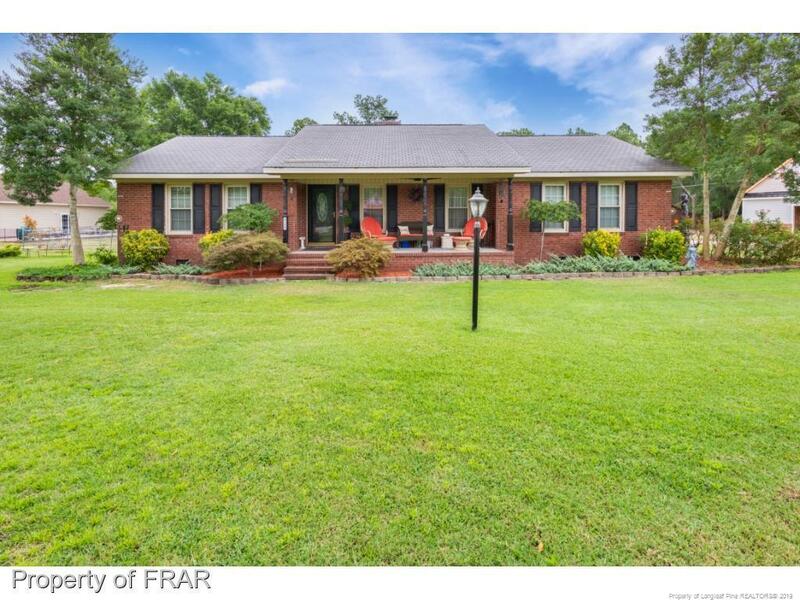 Country living close to Fayetteville & priced below appraisal value. This ranch home on over an acre has been renovated with tons of upgrades. Enclosed breezeway leads to entertainment room with custom bar & surr. sound. Main home has updated hardwoods, tile & carpet. Baths have also been updated with granite counters & include custom shower in master with wall jets. Tile patio with elec. awning overlooks fenced back yard. Sprinkler system on well & new 50-year roof. One-year home warranty. Directions: Heading South On I95, Take I95 Bus/Us-301s Exit And Follow Signs For I95 South. Take Us-301n Towards Eastover. Keep Right At Fork And Merge On Us-301n/Dunn Road.